Storage Bed Experts are here to help you! Are you sick of hearing different things about storage beds everywhere you go? Are you in dire need of storage bed experts to actually tell you the truth? As storage bed experts that have been making storage beds for over a decade, we certainly know a thing or two. So you really are in the right place! We’ve got your backs and want to shock you with a few things that you might not know about our storage beds. The Air Storage Bed has 15cm and 30cm of storage. You can’t see the bigger storage either? Max works with a very clever base to maximise storage. It actually has a plinth that runs all the way around the outside that means you can store all the way down to the floor inside. So even though the bed looks like it is off the floor, it isn’t. The clever plinth means that nothing can get underneath the bed, not even dust! Our Illusion Storage Bed actually only has 10% less storage than our Max Storage Bed. (Max has the most storage at 35cm). To make this actually seem a little bit jaw dropping, here are two photographs. Now can you believe it? Even we couldn’t believe it! Our beds are all made in Nottingham by our lovely workshop team and we make all our beds to order. That means quite simply that you decide what options to add on to your bed and we make it for you. How great is that?! There are hundreds of fabrics and leathers to choose from, as well as wood. Now some people think that too much choice is too much. However don’t worry – we have an Interior Designer at our showroom on hand to help you with your selections. 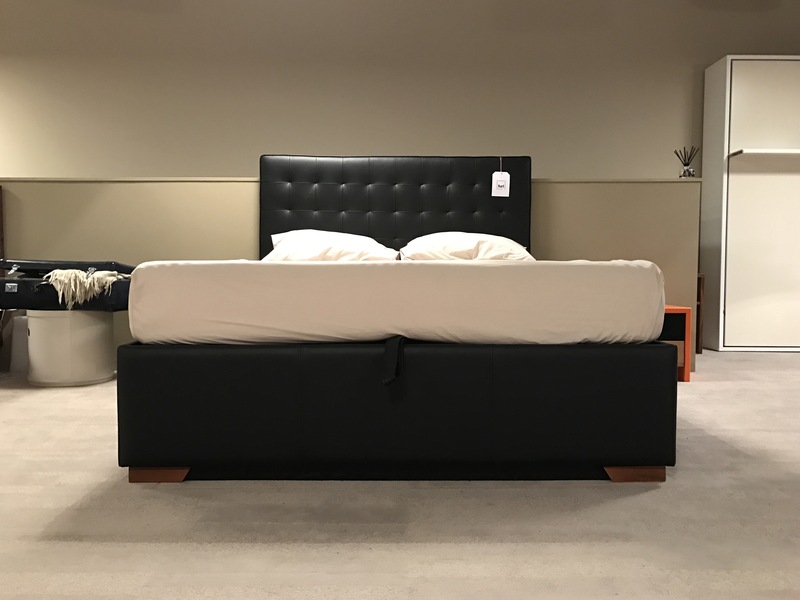 If you fancy having a play at home first, we have a brilliant ‘Design and Order’ section that can help you to visualise what your bed might look like. 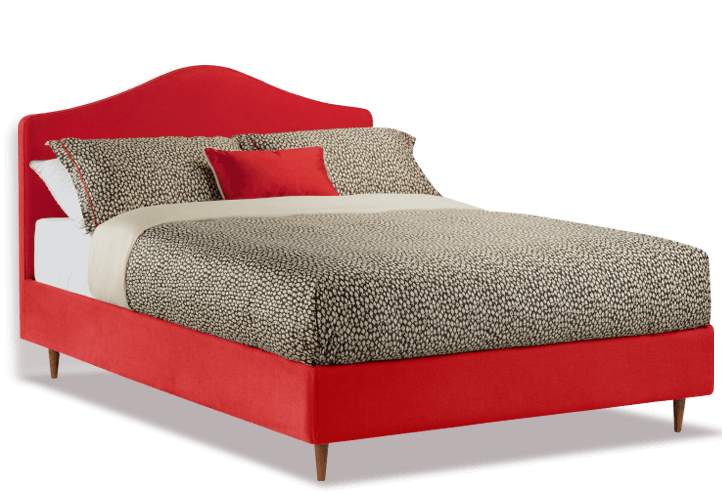 So you want to see a Max bed in a red fabric – here you go! Just remember that this is just a visual, and it is much better to actually come and look and feel the fabrics for yourself. We recommend that you actually come and visit the showroom to try lifting the mechanism. All of our beds have a strap provided for opening, however it is actually easier to lift it using just the mechanism. Initially, people aren’t too convinced, however it is true! By lifting the mechanism with two hands, you are bending your knees and lifting properly. It is only that initial lift that you have to support. The gas pistons they kick in and do the rest of the work for you. 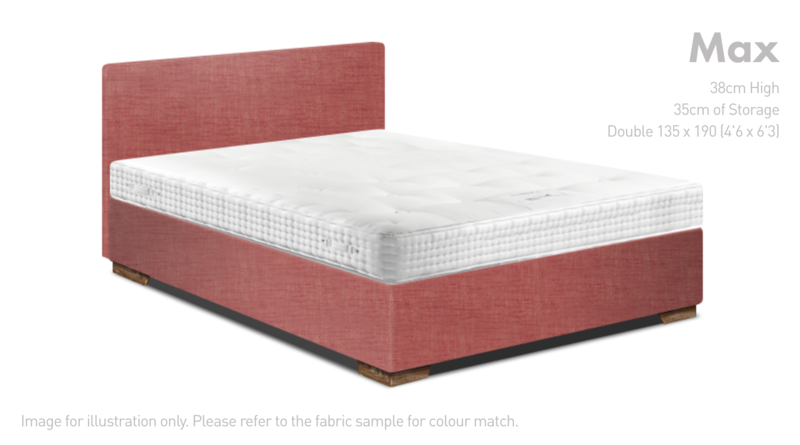 If your mattress is a heavy one, you might just need to give the mechanism a little nudge to open it to its full angle. Do you have any more questions for our storage bed experts? Questions that don’t have quite such shocking answers perhaps? Tweet us @Furl_Home and we can get those all answered for you.